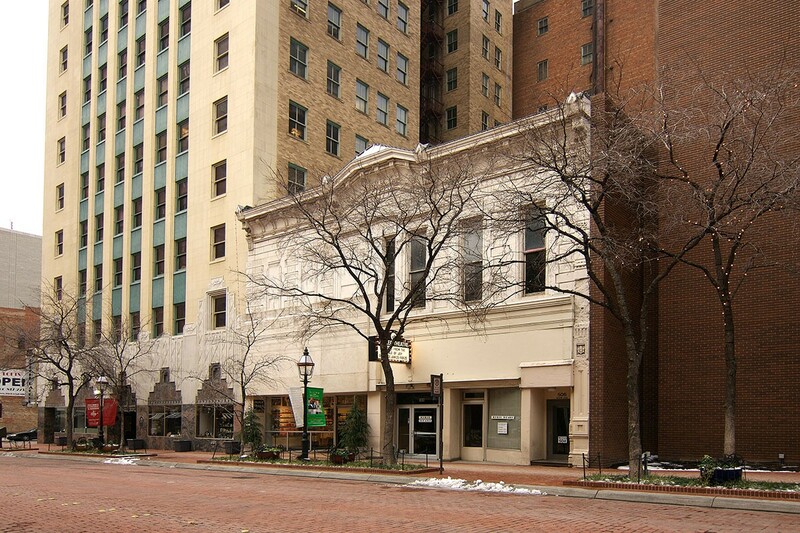 Red Gap is a VOIP service company that wanted to remain in the Sundance Square District of downtown Ft. Worth, Texas. 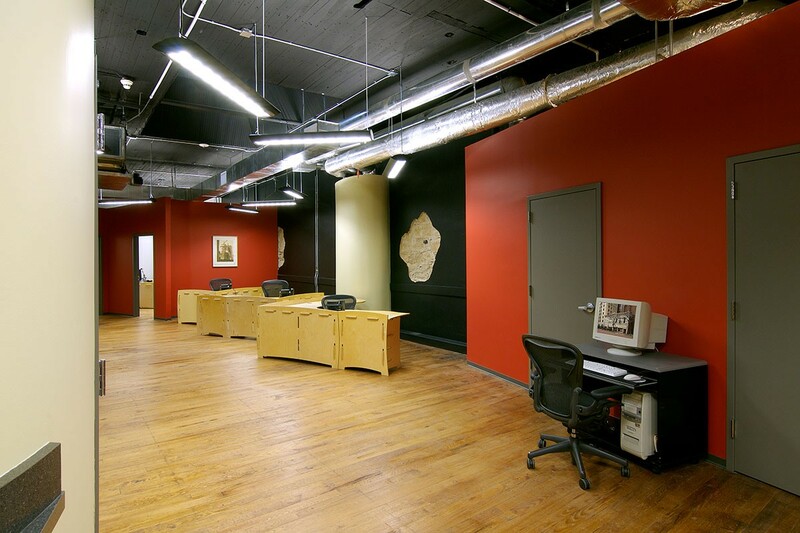 They chose to renovate the 5,000 square foot second floor of the historically designated Jarvis Building constructed in 1874. An internal fire in 1968 created an opportunity for an African American theatrical performance company to renovate the first floor and to remove the columns for the stage. What remains on the second floor is their structural solution – an upturned truss. 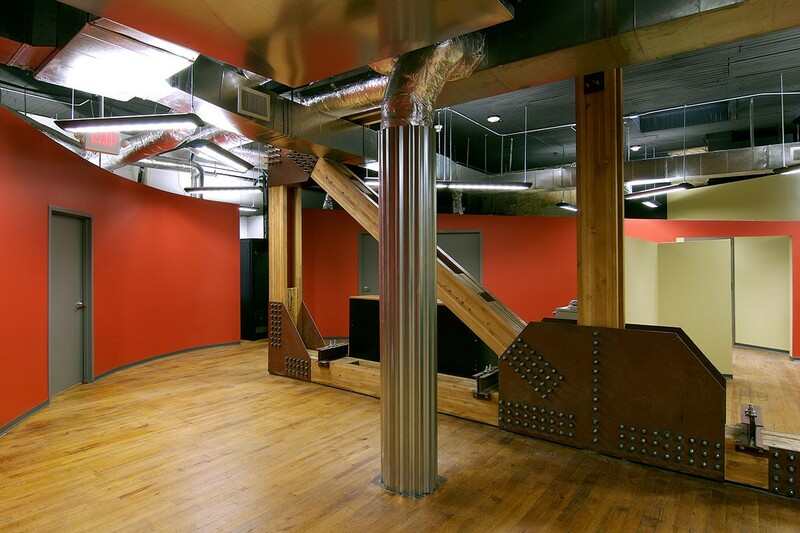 The truss location rendered the second floor as storage space until Red Gap’s renovation. 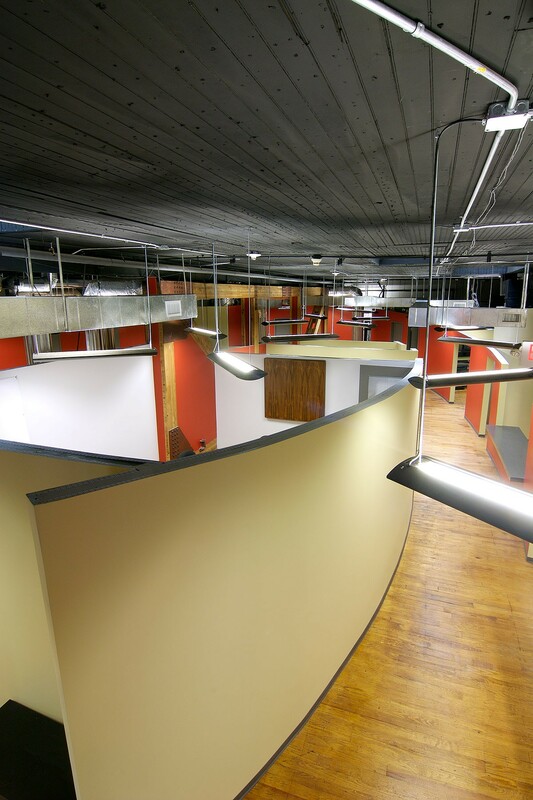 Since the truss is located in the geographic center of the space, it was used to organize all of the company’s functions. Emanating from the truss is an oval shaped wall that slopes from its open entry to enclosed, private functions along its path. 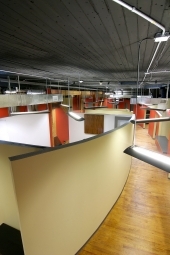 Splayed walls between the oval and existing box walls form the employee offices. 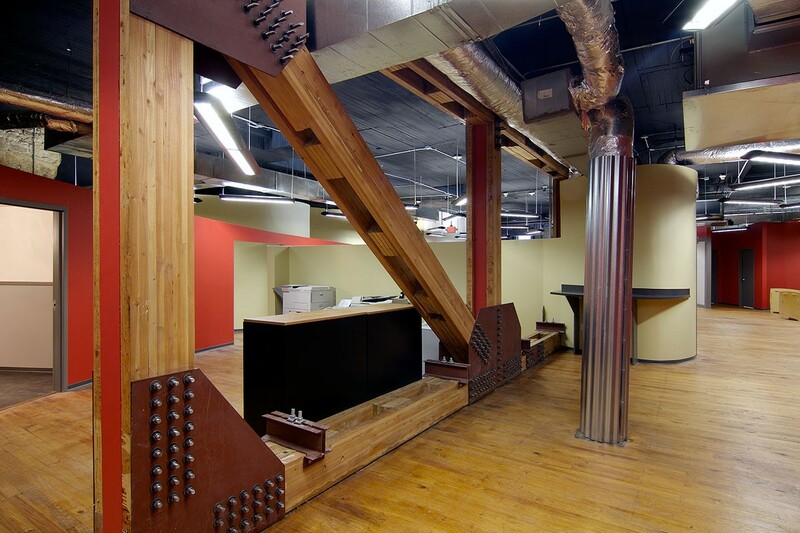 Details in the space complement the bolted tectonics of the truss accentuating its obvious uniqueness. Transparency and strategic cutting of the oval wall allow the truss to frame many of the spatial experiences. 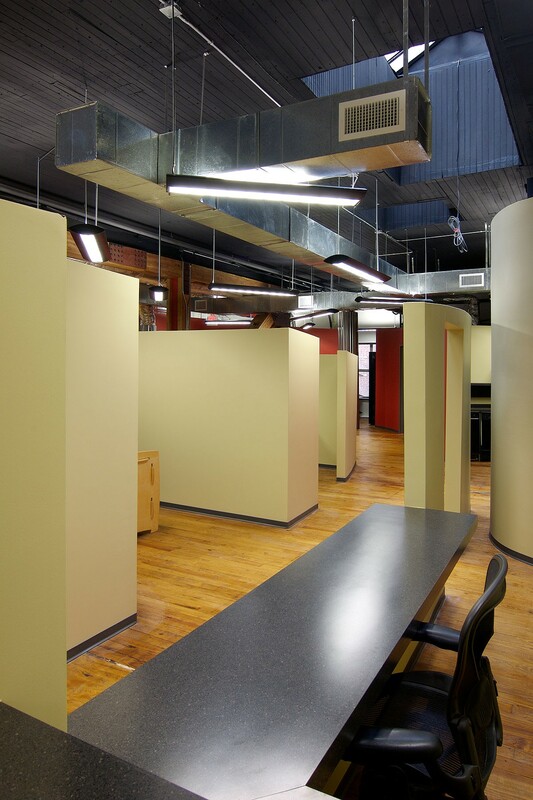 Color was used to reinforce the company’s brand, and the original wood floor was refinished to complete the office’s loft-feel.